Whether the result of a jellyfish sting or a dropped tank, any injury in or on the water can be dangerous — even life-threatening — without a first-aid kit. Have one with you every time you dive. Just as your dive gear needs care and maintenance to function properly, be vigilant about ensuring your first-aid kit is complete and up-to-date. Whether you need to deal with minor annoyances or major incidents, a first-aid kit stocked with the right components can help make annoyances vanish and incidents manageable. basic first-aid kit for diving is comparable to a standard one you can pick up at your local pharmacy, which should contain most of the items in the checklist in the sidebar. This list is a great start, but adding a few specific things can be extra helpful for divers. While trying to stick an adhesive bandage to wet skin is always entertaining, there are options that can make it much easier to cover that cut, scratch or blister. Liquid or waterproof bandages are a good addition to divers' first-aid kits. DAN® medical information specialist Marty McCafferty also recommends tincture of benzoin, which helps bandages stick firmly to the skin, especially in a damp environment. 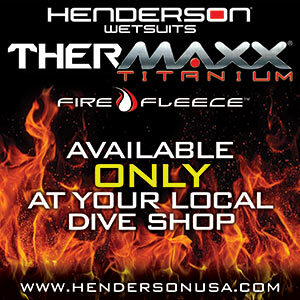 Other additions can be useful, depending on the details of your dive. "I highly recommend insect repellent," said Peter Buzzacott, DAN director of injury prevention. "Prevention is always better than treatment." That is true for sun protection as well, so pack some extra reef-safe sunscreen to avoid a painful burn. A flashlight is useful in dim conditions or when examining small wounds such as those caused by splinters, tiny spines or remnants of jellyfish tentacles. Also consider if you will need to bring oxygen to ensure some is available. "Include several extra pairs of nonlatex gloves," said Patty Seery, DAN director of training. "They get torn, so having extra pairs available keeps care moving." Vinegar is not just for cooking and cleaning — it can be used to neutralize jellyfish stings, so having some available is useful. One of the most indispensable tools is not inherently medical at all: a writing implement. When dealing with a situation that will involve treatment beyond first aid, any notes you can provide about the care you have already administered will be beneficial to medical personnel. Standard wound dressings are useful even when you aren't diving, as cuts, scrapes, bruises, sprains and strains are among the most common boating injuries. The ability to quickly and effectively bandage a wound can minimize the risk of infection, and having the right medication or a cold pack available to deal with other minor illnesses or injuries on board might save your dive. Although you may try to cover every possibility with the contents of your first-aid kit, Seery underscored the value of creativity: "Flexible thinking can help you use the materials at hand when what is needed is not actually available in the kit." For most DAN staff, diving is not just a job, it's a passion. A few colleagues shared their recommendations about divers' first-aid needs from their personal experiences.